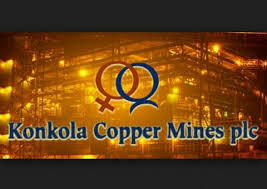 Konkola Copper Mines (KCM) has assured government of continued mining operations and renewed focus on Konkola Deep. In a joint statement issued by ministry of finance spokesperson Chileshe Kandeta and KCM general manager for corporate affairs Eugene Chungu, the mining company on Monday held a meeting to discuss the implications of the new tax regime on mining operations. KCM early this month announced that it would downsize its operations after government went ahead to introduce a new tax regime expected to take effect on April 1. KCM has applauded the on-going initiative aimed at regular engagement with the private sector in the quest to achieve sustained economic growth, wealth creation for all players in the economy and the well-being of citizens. The Copperbelt based mining giant affirmed that Vedanta and KCM’s approach was to resolve matters on the premise of constant dialogue and in a respectful and mutually beneficial manner. During the consultative meeting held at the Ministry of Finance in Lusaka, KCM Acting Chief Executive Officer Venkatesan Giridhar said Vedanta Group chairman Anil Agarwal and Chief Executive Officer Srinivasan Venkatakrishnan were passionate about the success of KCM hence their instruction to management to approach the subject of security of employment with due care and compassion for the citizens of Zambia. “I wish to confirm, therefore, that there will be no loss of jobs at our sites as a result of the new tax regime,” Giridhar announced. “As KCM, we undertake to constructively engage key stakeholders such as the government, trade unions, the media, local communities and our shareholders, in a respectful manner to ensure that we contribute to the growth of the economy on a sustained basis”. He said this when he presented a paper on the impact of the new tax regime on KCM mining operations and its future undertakings. The other issues covered in the consultative meeting were KCM smelter business strategy, the deficit of concentrates in the country, the immediate pasts’ depressed London Metal Exchange scenario, and the KCM growth strategy. Giridhar emphasised that the company was renewing its focus on Konkola Deep Mine in Chililabombwe and would ensure further investment in the short to medium term. “Our actions are designed to sustain and create jobs, grow the economy, and contribute more to the country’s treasury while effectively implementing our asset and liability management programme,” said Giridhar. The KCM delegation included human resources vice-president, Beatrice Mutambo, head of Smelter and Refinery Enock Mponda, head Nchanga Business Unit, Anil Tripathi, finance General Manager Anand Soni, Chungu and Tax Manager, Peter Kangambo. The KCM delegation agreed with the Government team that positive sentiments were important ingredients in growing the economy through direct foreign and local investments. He added that negative media reports have in the recent past also adversely affected the operations of the company, thereby causing the impairment of market sentiment; erosion of investor and customer confidence; destabilisation of workers morale; and, unwarranted agitation among other stakeholders. Speaking at the same meeting, Finance minister Margaret Mwanakatwe thanked KCM for choosing the path of dialogue and reviewing mine operations by ensuring compliance, sustaining job creation and contributing to the country’s growth. Mwanakatwe re-affirmed government’s focus on domestic resource mobilization, adding that the drive was aimed at raising revenue for investment in social sectors, productivity ventures, and infrastructure development. The Minister appealed to KCM to implement the commitment made by paying local suppliers. She expressed concern that the upward trend in imported concentrates in contrast to the downward trend in created an impression that KCM had been focusing more on trading than local mine development. Mwanakatwe stated that the assurance made by KCM to complete the development of long-term ventures such as the Konkola Deep Mining Project within the next 3 to 6 years was uplifting and a good sign that the firm would finally get rid of its loss-making image. Mwanakatwe also reiterated that once the drafting process was complete, government would circulate the Goods and Services Tax [GST] White Paper to the public for analysis and feedback before the final design of the proposed measures were presented to Cabinet and later Parliament in form of a bill for debate and consideration. “Let us walk the journey together so that by 1st April, 2019, we can implement the GST,” Mwanakatwe stated, and added that the GST will be a hybrid of Value Added Tax and Sales Tax, with all the attendant incentives and exemptions for manufacturers, exporters, and other eligible sectors of the economy such as education, health and agriculture. “The difference with the current VAT is that there will be no refunds,” clarified the Minister. The government officials included Labour minister, Joyce Nonde Simukuko, Copperbelt minister Japhen Mwakalombe, Finance permanent secretary Mukuli Chikuba, mines permanent secretary Paul Chanda, Zambia Revenue Authority Commissioner General Kingsley Chanda, Labour Commissioner Chanda Kaziya and directors from finance and mines. Addressing the meeting, Simukoko said mining companies needed to ensure that the Government policy on minimum wages for all their operational units and sub-contractors was complied with unfailingly. The Minister of Labour called on KCM to demonstrate stability in operations by deploying management teams whose tenure at the company assured government and other stakeholders that additional investment projects which they had consistently announced, became operational. She requested KCM to remain firmly committed to nurturing mutual trust in its relationship with other stakeholders and compliant with all applicable operational and labour laws. And Mwakalombe called on KCM and other mining companies to consider giving long-term contracts to local contractors and suppliers as that helped to widen the tax base and availed government more options for domestic resource mobilisation. “In pursuing your growth objectives, you need to take greater interest in the well-being of the communities in which you operate by ensuring that you network with local suppliers and contractors and thereby facilitate the exponential growth of the Copperbelt Province,” stated Mwakalombe. In response, Giridhar acknowledged the previous challenges faced by KCM with regard to working capital and assured the meeting that the company was now placing every effort in the timely payment of suppliers and took the opportunity to appeal to government to facilitate assessed and verified VAT refunds.